In an effort to raise Geography Awareness, here is a blank Mercator Projection World Map with a built-in lesson plan ready to go out of the box. 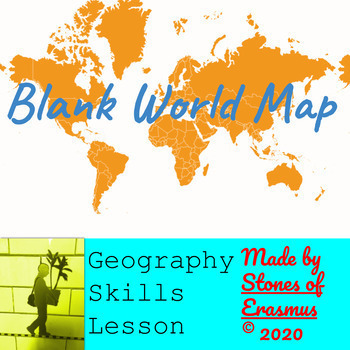 I use this blank map and worksheet in my lessons - especially at the start of the year. 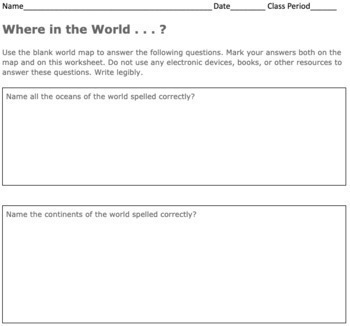 Have your students answer the following questions as a "do now" or as an "exit ticket" (make sure your students have put away all their electronic devices - and close up the atlases and cover up the laminated world map hanging in your room). (1.) Name all the oceans of the world spelled correctly? (2.) Name the continents of the world spelled correctly? What's included in this resource? 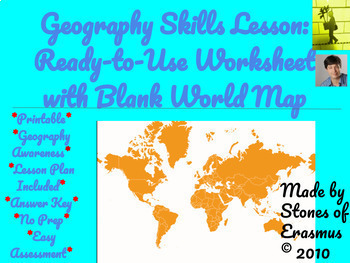 and printable map included in this lesson resource. The Uses are Endless . . .
Use your students' answers as a formal assessment. Or, simply as a gauge for how much geography they do indeed know (and how much geography you have to teach). N.B. The blank world map included in this resource is in the public domain.